Yesterday I was awakened by the door bell ringing and i hurriedly rushed downstairs to check who was at the door. I saw a UPS truck and the mailman and my heart raced. I got mail from NY! 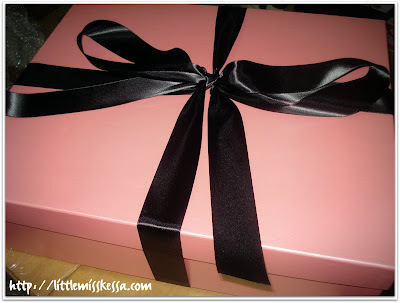 Well, not exactly a mail/letter, but a BIG box with lots and lots of beauty products inside. Joyce watched me as I open my present and she pointed out that I looked like a kid in a candystore while opening the box and removing the bubble wrap around the pink box with black ribbon (my kind of color). I was so excited, it was obvious. When I opened the box, my jaw dropped because of the goodies inside. I have never shopped at any point in time for makeup like this, just now. 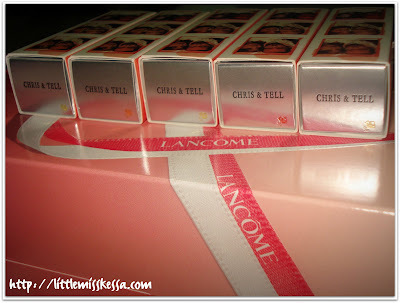 A couple of weeks ago, Kerry, VP for PR of Lancome, told me to use the $500 gift card to choose the merchandise I want from the Lancome USA website so that she can ship it to me together with five of the Chris and Tell Lipstick. And so shop I did! I sent her my list (and oh they were so generous to throw in one Vernis Magnitique Code Red Nail Polish and one full oz of Lancome Genefique Youth Activating Concentrate. Last night, I went to work wearing the Chris and Tell lipstick and I was asked many times what lipstick am I wearing. Guess, it has caught some attention huh? But the best bit of all is the note personally handwritten by Kerry. 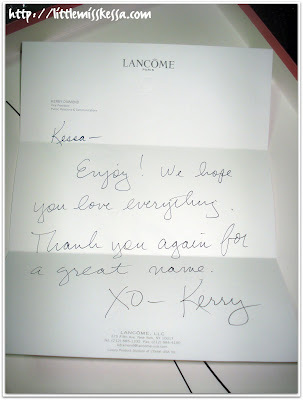 Thank you so much as well Lancome! I am truly honored to be an honorary member of the Chris Benz Lipstick Team. I will enjoy all of these for sure (some friends will too). 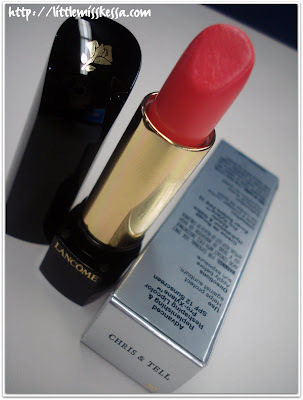 Thank you so much again Lancome and Chris for choosing the name I gave for this pretty lip hue. Now, I have my own contribution to the beauty world.